In his over 20 years of experience, Stephen A. Jenkins has excelled in both the institutional and planning sides of the financial industry. 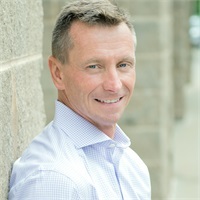 Prior to founding Sterling Manor Financial, LLC, Steve held various positions at Goldman Sachs & Co. in both New York City and London, as well as spending time as a Financial Advisor with Ameriprise Financial. Further, Steve realizes most clients are not typically comfortable with the unpredictable nature of finance, and thus strives to give his clients predictability in their planning by keeping them engaged throughout the planning process. He actively reviews client portfolios, holds quarterly review meetings with clients, helps hold them accountable, and proactively communicates with them on all matters affecting their financial health. By working together as a team, Steve’s clients are an integral part of the process and are much more likely to achieve their financial goals. While he works with individuals, families and business owners of varied backgrounds, his practice primarily focuses on those in the final stages of the “accumulation” phase of life -- nearing retirement, kids heading off to college, empty-nesters. Those are the clients Steve really enjoys working with to help secure their financial future and make their financial lives a bit more predictable. New York Institute of Technology - B.S. Steve resides in Rhinebeck, New York with his wife Kathy and their two children, Madison and Shae. When he’s not at the office managing portfolios or meeting with clients, he sits on the Rhinebeck Board of Education, and is the co-owner of Circus Cafe. Steve still manages to sneak in some free time, and enjoys snowboarding, tennis, running and hiking with his family.